You have your plans and reports in hand and are ready to start your indoor waterpark resort. Where does the money come from? Unfortunately in 2009 financing for new construction hotels and waterparks is extremely difficult due to the ongoing economic recession and a dramatic reduction in lending by various institutions. Despite the fact that in terms of occupancy levels and average daily rates, many indoor waterpark resorts are doing far better than hotels without indoor waterparks in equivalent markets, financing your new indoor waterpark resort will be more difficult than financing a typical hotel or commercial building. 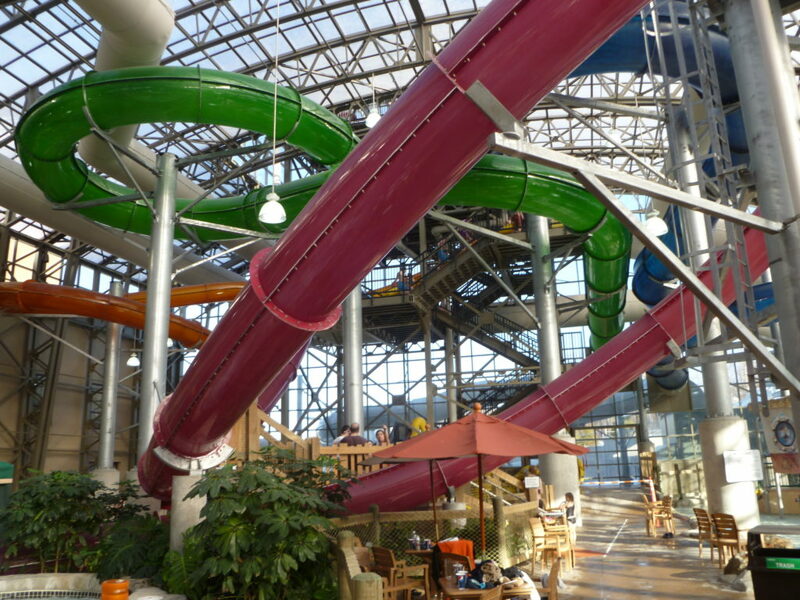 Indoor waterpark resort projects are usually larger in scale and require larger development loans. 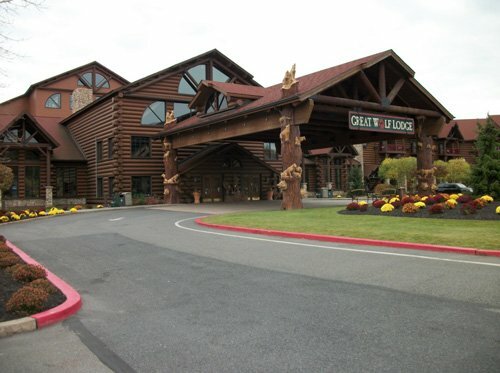 Additionally, the risks involved in starting and operating an amusement-oriented resort property are higher than those involved in starting and running other types of properties. Also, if you are planning to start an independent property rather than a franchised property, you will have the additional challenge of overcoming the typical lender’s view that independent properties are less economically stable than franchised properties. The growth of indoor waterpark resorts has been strong in recent years with 17 properties projected to expand or open by year-end 2009. Many new indoor waterpark projects have been proposed at new resorts and existing hotels throughout the northern United States and Canada. 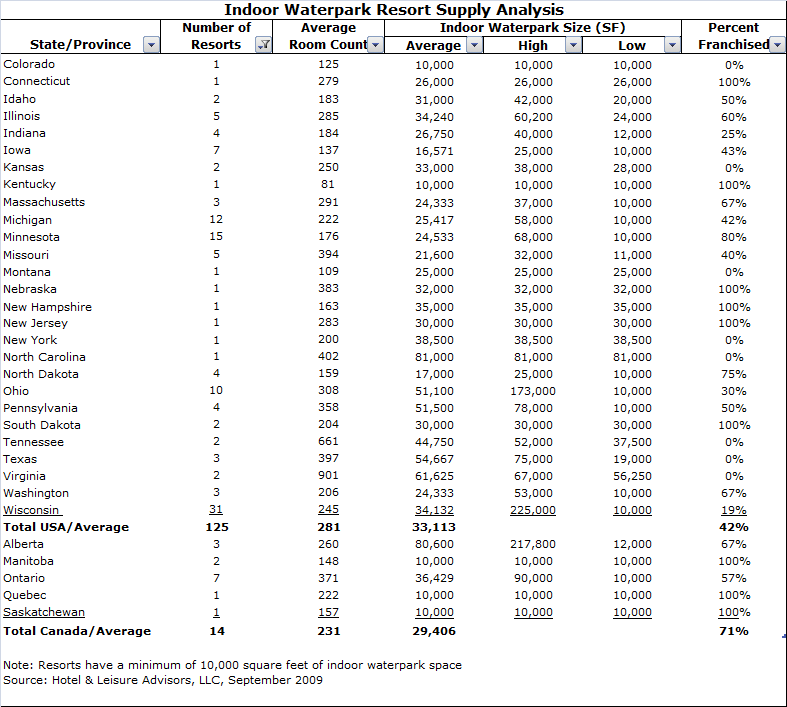 As of September 2009, we are tracking 324 properties in the United States and Canada which are proposing to add indoor waterpark facilities or are developing new construction indoor waterpark resorts. The list includes numerous projects developers have wanted to construct but have been unable to obtain financing for. Because of the challenging financing markets in 2008 and 2009, the number of projected openings expected for 2010 will be smaller as few properties are currently under construction. The rates quoted for the 2009 survey indicate that lenders have become somewhat more cautious as compared to 2008 concerning their loan to value ratio and debt coverage ratio as they are expecting the developer to provide a higher amount of equity for the project. As of September 2009, lenders are considering new construction primarily for smaller developments of $5,000,000 or less, and larger projects are having great difficulty finding interested lenders. Typically, lenders require a higher equity contribution for an indoor waterpark resort loan than for a more traditional hotel loan. Our interviews with hotel lenders indicate that developers need to be patient and consider a wide range of potential lenders for their projects. There are interested lenders who are looking at projects, but finding the right fit for individual projects is more difficult than in previous years. There are relatively few lending institutions actively soliciting these types of projects. However, we anticipate that financing could become somewhat easier as the credit markets thaw and lending institutions become more interested in new development hospitality projects. Conclusion: The financing environment for indoor waterpark resorts is currently difficult due to lack of lender interest and larger equity contribution requirements. However, these difficulties can be overcome for a solid project from a creditworthy developer with a well-documented market feasibility study and an appraisal report, which fully explain the market dynamics and income potential for the resort project and serve to educate the lender. This article was originally published in the World Waterpark Association’s 2009 Development and Expansion Guide.